2019 will be a great year for Canadian Express Entry. With 81,400 spots available, make sure to secure your invitation to apply for permanent residence with our help. Canada plans to invite 81, 400 immigrants for permanent residence through the ever popular Canadian Express Entry system in 2019. This is a significant increase of 6, 500 compared to 2018’s quota and, seeing as 2018’s quota was exceeded by 14, 900, we may see an even higher number of Invitations to Apply (ITAs) than the estimated 81, 400 in 2019. The increased quota is part of Canada’s plan to welcome over 1,3 million immigrants into the country by the year 2021. Interested in immigrating to Canada quickly? Then the Express Entry system is perfect for you. Through this system, applicants enjoy some of the fastest processing times for Canadian immigration, meaning you can get permanent residence in Canada quickly. In this article, we’ll reveal everything you need to know about the system to secure your very own ITA for permanent residence and we’ll keep you updated with the latest Express Entry draws. Canada has already invited 14, 500 candidates through this system in 2019 thus far, so there is no better time to start your application than now. 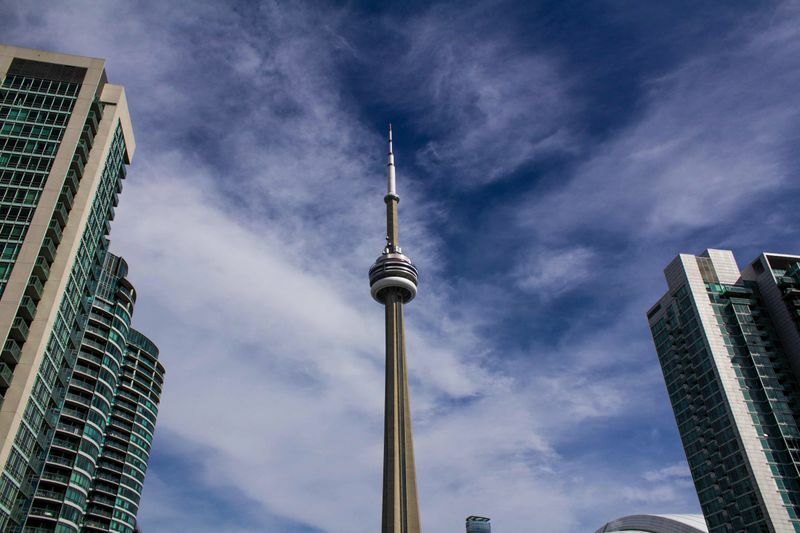 2019 is well on track to be yet another record-shattering year for the Express Entry system with a total 14, 500 invitations being issued so far. Four draws down the line, we have already seen a variety of peculiarities that will certainly set 2019 apart from the years that came before. 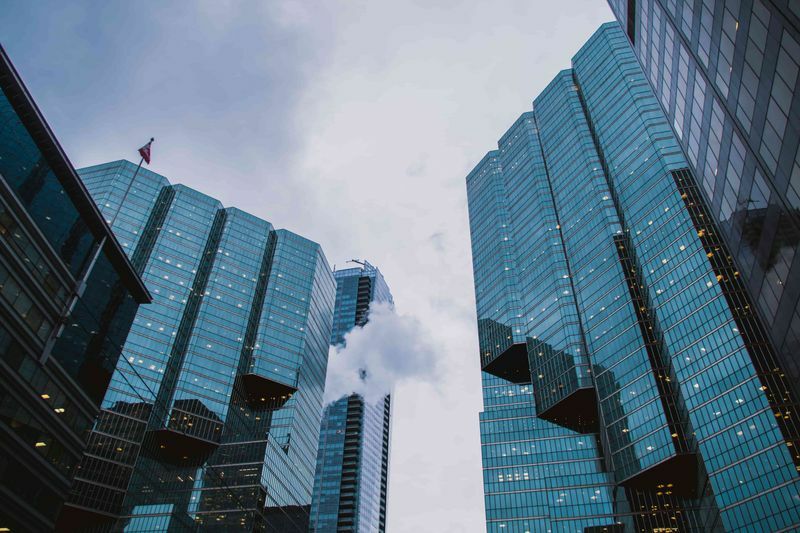 The three draws of January 2019 set a record for the most ITAs issued in January since the start of the system. As you can see from the graph above, the diminishing CRS scores correspond with less time between draws. The draws between January 10 and January 23 had 13 days between them which saw the CRS score drop by six points and seven days later, the following draw occurred on January 30 which saw the CRS score drop a further 5 points. February only held one draw and it took place on February 20. With 21 days between this draw and the last, the Express Entry pool had plenty of time to replenish their pool of candidates. The more candidates there are in the pool the more competition exists between them, ultimately pushing up the minimum CRS score for the following draw. For this reason, the draw held on February 20 had a CRS cut-off score of as high as 457. The rest of 2019 will probably see CRS scores dropping even lower because draws need to occur more frequently in order for Canada to meet its quota. 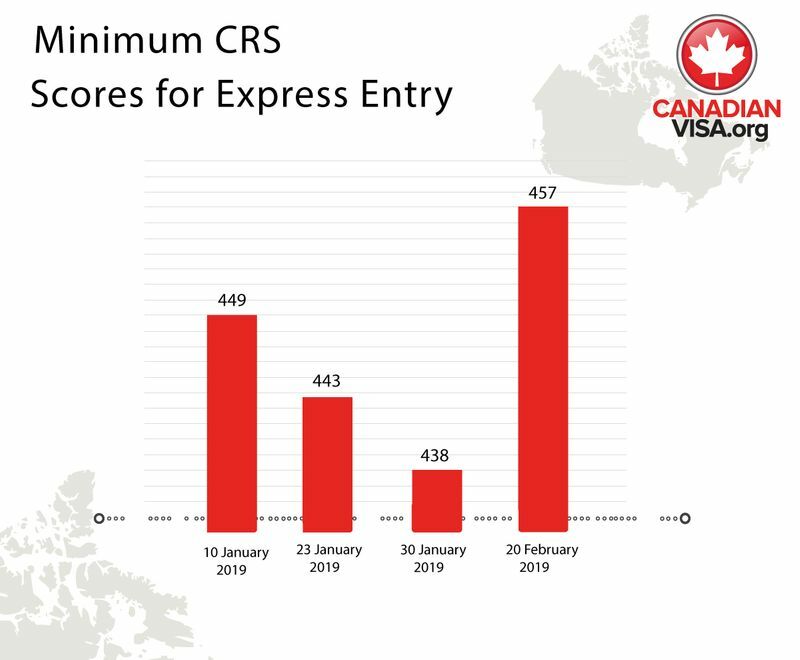 Seeing as CRS scores are likely to hit lower numbers than ever before, 2019 may be the easiest year to immigrate to Canada yet! What is Express Entry to Canada? The Canadian population is aging, making it difficult for the country to keep their workforce operating at full capacity. This is one of the main reasons why the Government of Canada has adopted such a liberal approach to immigration in hopes that foreign labourers will ensure the continued success of their economy. The problem is that immigration is easily caught up in layers of red tape preventing the right candidates from entering Canada quickly during such a critical time. This is where Express Entry comes in. This system was introduced in 2015 to expedite the application process for applicants who possess the skills and work experience the country desperately needs. Currently, the system manages the pool of candidates for three economic immigration programs, the Federal Skilled Worker Class, Federal Trades Class and the Canadian Experience class. In other words, you need to qualify for one of these three Canadian immigration programs to have your application processed through Express Entry. Candidates who get selected for permanent residence through the system enjoy minimum processing times of as little as six months! As mentioned above, in order to have your application processed through the system you need to qualify for one of the Federal economic immigration programs. In addition to meeting their requirements and submitting your application, you need to create an online Express Entry profile. You will be asked a series of questions about your professional and personal background, including your age, work experience, language ability, qualifications, ability to adapt to Canadian life and more. Your profile will then be assigned a Comprehensive Ranking System score out of a possible 1, 200 based on your answers to these questions. Once you have your CRS score, your profile will be entered into a pool of candidates where it will be ranked by its CRS score against other profiles. 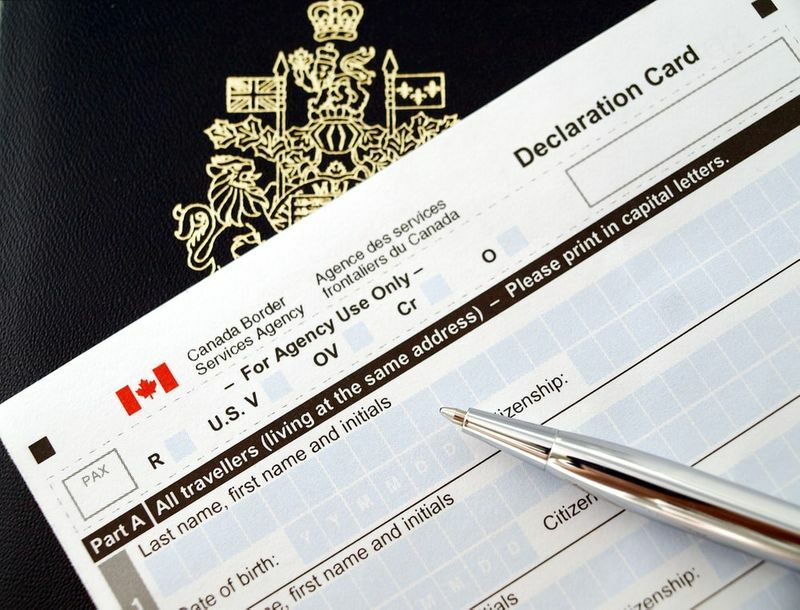 Candidates with the highest CRS scores get issued invitations to apply for permanent residence in Canada through regular draws that are typically held once every two weeks. If you receive an ITA, you will be given 60 days to complete your application for permanent residence. If you did not receive an ITA, your profile will be returned to the pool where it will be considered for following draws. To maximize your chances of receiving an ITA, you need to make sure your CRS score is as high as possible. For this reason, Canadian immigration is considered to be a merit-based system. Follow our 6 tips to improve your CRS score to secure your ITA. So what can you do to make your profile stand out among the pool of candidates? Hire an immigration expert of course! With us working on your application, you stand the best chance of success because we will make sure everything involving your application is settled accurately and timely. The first step is determining your eligibility for Express Entry. Once you sign up for our services, we will evaluate your profile to find all of the immigration programs you qualify for including those managed by the Express Entry system. Our comprehensive report will recommend your best options for success tailored to your unique profile. Get started on your fast-track journey to Canada, sign up today.